Peace for Paul is an organization formed to help the forgotten children of Jinja, Uganda, namely the children living on the streets or in the slums of Masese. These children are largely Karamajong.. A tribe whose people have had to face much prejudice and discrimination. Mirembe Cottages and Hope Home (under the umbrella organization Peace for Paul) will be a not for profit foster home for the forgotten children currently living on the streets or in the slums of Jinja, Uganda. The home will be self-sustaining and will accomplish this through income received from the guest house and restaurant also on the property. 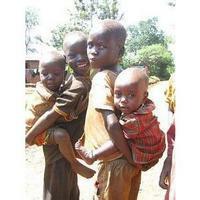 Mirembe Cottages and Hope Home will provide refuge for both needy children and weary travelers. The best part about this project is that after the initial investment, the home should be able to fund itself. The children will learn that they are worthy and do deserve a future.